158 pages, 8.5” X 11”, full color, 3 ring binder, 25 chapters. Making a silicone mold, making an investment mold, steaming, wax recovery, reverse relief casting, handling and preparing glass for casting, and multiple methods of calculating and converting volumes. 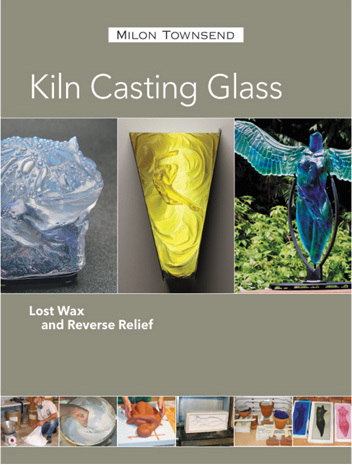 Multiple methods illustrated with hundreds of color photographs in sequence, show exactly how to go about successfully creating artwork with kiln cast glass. Extensive technique and examples on how to create many different effects with colors, and how to take advantage of the many different forms in which glass is available.